There are many titles in this series of Then And Now books from Thunder Bay Press and include other cities such as New York, Paris, Seattle, Chicago, Boston, and St. Louis. I've also reviewed their books on Havana, San Francisco, and Rome. Las Vegas celebrates its centennial in 2005 (I have a travel guidebook which I wrote on Las Vegas coming out soon) and in preparation for any visit you might be planning, this book would make a superb pre-departure souvenir. This collection of photographs serves as a before and after series of this ever-changing city. As many of the original hotels and resorts have been demolished to make way for more modern structures, the landscape and skyline continously changes. Old favorites such as the Sands Hotel or the Desert Inn or the Dunes, that we saw in old movies and on television, have now gone and have made way for bigger, brighter, and better facilities. Where once were one or two storey buildings, now stands multi-storey theme hotels. Author Su Kim Chung has included interesting historical captions for the photographs so you can learn more about this evolutionary city. 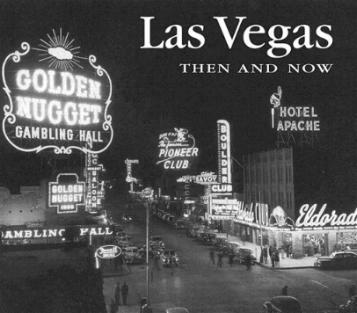 What was once hard desert is almost completely covered by buildings and roads - the wonderful photograph on page 16, for me, is a great example of how "Las Vegas" must have been back before it was what it is now. The Strip came along after Fremont Street, where it all started. It's a fabulous stroll through history. Conclusion - Beautifully illustrated and a collector's item, definitely.